Montecito Inn (“Montecito Inn”, “we”, “us” and “our”) takes the issue of safeguarding your privacy seriously. Our Privacy Notice describes what information we collect from hotel guests ("Guests") as well as visitors to the Montecito Inn website and mobile App, and the way in which Montecito Inn uses this information to better serve your needs. We collect your personal information while monitoring our technology tools and services, including comment cards and email communications sent to and from Montecito Inn. 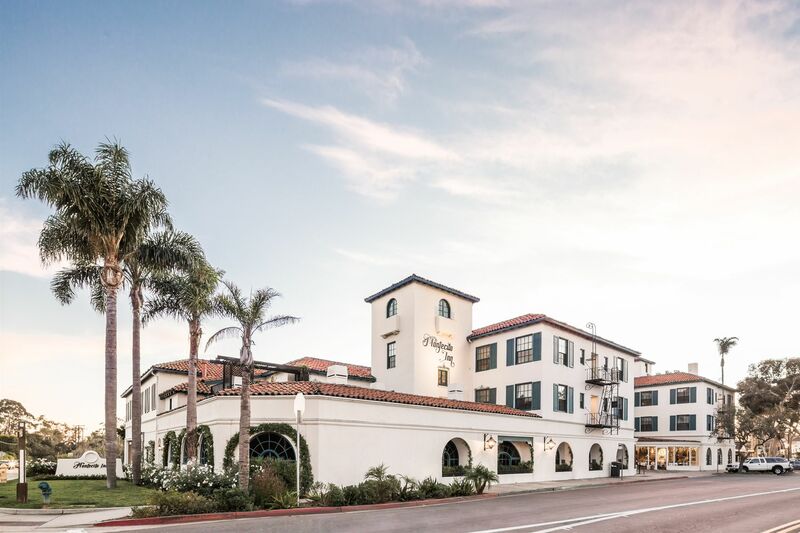 Montecito Inn stores personal information in a secure location and we take steps to ensure that only designated individuals have access to this information. Where a third party is engaged by Montecito Inn to provide services on our behalf, Montecito Inn ensures these parties protect your Personal Information in a manner consistent with the principles articulated in this Privacy Notice. If Montecito Inn suspects any unlawful activity is taking place, it may investigate and/or report its findings or suspicions to the police or other relevant law enforcement agency. Your personal information may be processed by Montecito Inn and its trusted third party suppliers anywhere in the world, including in countries where data privacy laws may not be equivalent to, or as protective as, the laws in your home country. In particular, your personal information will be stored in your guest profile in our Central Reservation System located in Canada, and is available to Montecito Inn. Montecito Inn reserves the right to decline access to your personal information under certain circumstances as permitted by law. If your personal information is not disclosed to you, you will be provided with the reasons for this non-disclosure. Where you are given the option to share personal information with Montecito Inn, you can always choose not to do so. If you do not wish to receive marketing information from Montecito Inn, you may indicate your wishes on your registration card when you stay with us or send an e-mail to: contactus@montecitoinn.com. You will always have the ability to accept or decline any form of communication from Montecito Inn. You may unsubscribe from electronic marketing communications at any time by selecting the “unsubscribe” link included in such communications. After you have chosen to withdraw your consent Montecito Inn may be able to continue to process your personal information to the extent required or otherwise permitted by law. If at any time you wish to exercise any of these rights, you can do so by sending an e-mail to: contactus@montecitoinn.com. We will also keep your personal information where we need to do so in connection with a legal action or an investigation involving Montecito Inn. Any financial information Montecito Inn retains will be protected under the terms of this Privacy Notice and, where financing is arranged in the United States, under the Financial Services Modernization Act. Montecito Inn manages the property on behalf of third party property owners. Montecito Inn may disclose to such a property owner certain Guest or Owner information as required to implement business transactions between the property and a particular Guest or Owner. All other personal information is considered to be proprietary to Montecito Inn, and is not shared with property owners. If we cease to manage a particular property, guest information required to process pending reservations and information that is historically shared with the property owner is retained by the property owner. All other personal information remains with Montecito Inn. Montecito Inn is a United States corporation incorporated under the laws of the State of California, USA. As such, US federal laws apply to our company. We apply the requirements of these laws (and any other applicable laws) to how we handle all personal information wherever received, and each property managed by Montecito Inn also complies with the local privacy laws of the jurisdiction where it is located. All transfers of personal information between countries will be subject to the terms of this Privacy Notice and in compliance with these laws. If you have additional questions regarding the law or if you feel we have not treated your personal information appropriately, you may also have the right to complain to the local data privacy supervisory authority in your home country.